More than 1500 planets are known to orbit other stars, many in multiple planetary systems. While a few have been detected directly, most of these extrasolar planets are located by effects they have on their parent stars, either through their gravity or by slightly dimming the star as they transit in front of it. Many of these planet-holding stars are visible to the naked eye and several even carry ordinary names, a growing sample of which (including a few that require binoculars) are listed in the table below. Click on them to find labelled constellation photos that show the locations of the stars, along with descriptions of the stars and their planets. Technical details, citations of original discovery papers, and a great deal of other information can be found at the Exoplanets Data Explorer, The Extrasolar Planets Encyclopia, which is a primary source of data for the planets presented here, and at the Kepler site for transiting planets. Go find them, and stand outdoors in wonder. How are these planets found? 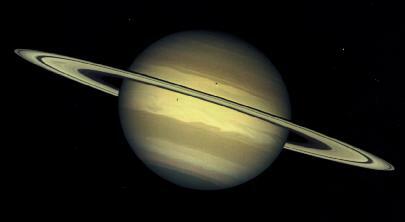 Image of Saturn: Hubble Space Telescope, Space Science Telescope Institute. Other pictures and text copyright © James B. Kaler. All rights reserved. These contents are the property of the author and may not be reproduced in whole or in part without the author's express consent except in fair use for educational purposes. This page was last modified on 20 May, 2013. Thanks to reader number .